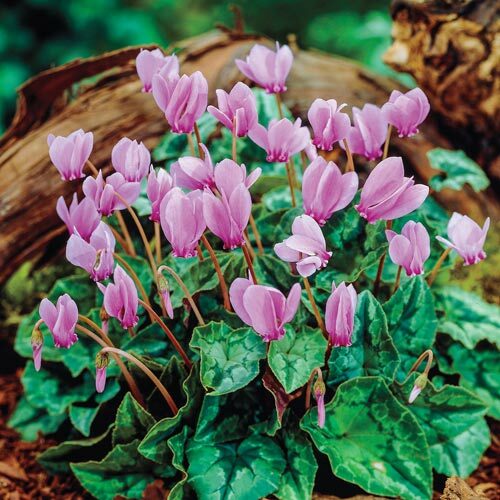 Handsome, heart-shaped leaves remain long after flowers have passed. 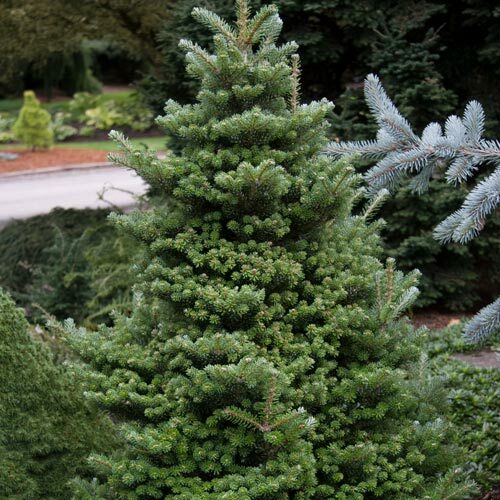 This fall-blooming species is an excellent choice for naturalizing under deciduous trees and shrubs. Adds much-needed color and beauty to the late-season landscape. 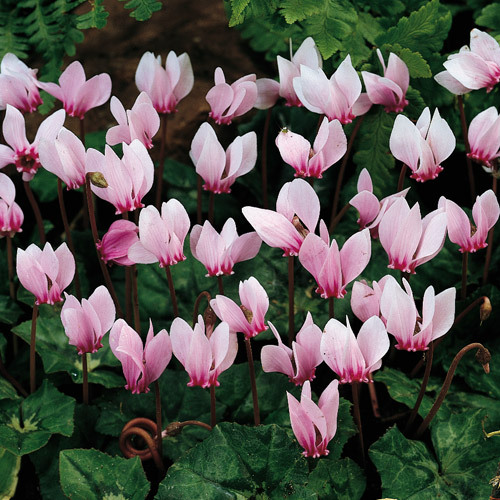 The most cold-hardy, easy-to-grow Cyclamen. 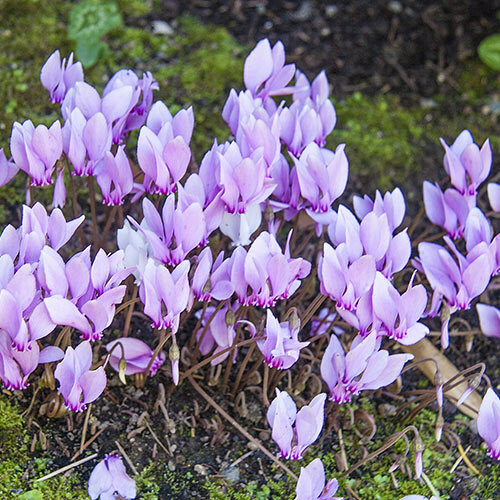 Flowers grow outward and then up forming an elbow. Heart shaped green leaves, marbled with grey to creamy white.